William has been saved for over 30 years and loves the Lord Jesus Christ. His desire is for God’s will to be done in his life and to make him into a man that is pleasing to Him. William has been married to Elizabeth Brown for 15 years and is the proud father of Eliama Njeri Brown. William has ministered through the preached word and prophetic song at Churches, Hospitals, Prisons, Nursing Homes, and Shelters. He has a strong burden for men and those who are less fortunate and hurting. He was a guest speaker on “Lets Get to the Heart of the Matter” radio program on a local am station in the South Jersey area. William facilitates “A Gathering of the Sons Men’s Conferences". 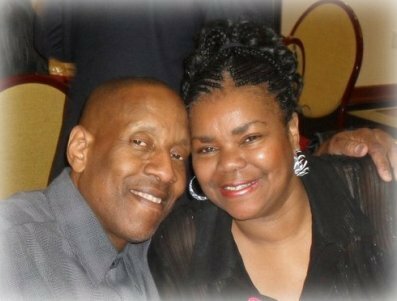 William also serves as covering for Divine Arts Ministry where Pastor John Armstrong is the spiritual covering and overseer. William is an ordained minister of the gospel and serves in the Men’s, Prison, and Hospital ministries. William completed a Seminary Extension Course at Christ Care Unit Missionary Baptist Church Bible Institute. William has received Certifications as a Network Cabling Specialist and Certified Fiber Optics and Telecommunications Technician from Gloucester County College. He also has a Diploma in Electronics Service Technology. William also previously attended Camden County College in pursuit of an Associates degree in Fiber Optic Options.